Dubutwigim 두부튀김 is one of Korean side-dishes (banchan). Thanks to its delicious sauce and crispy batter, Dubutwigim changes a simple meal into a real feast. 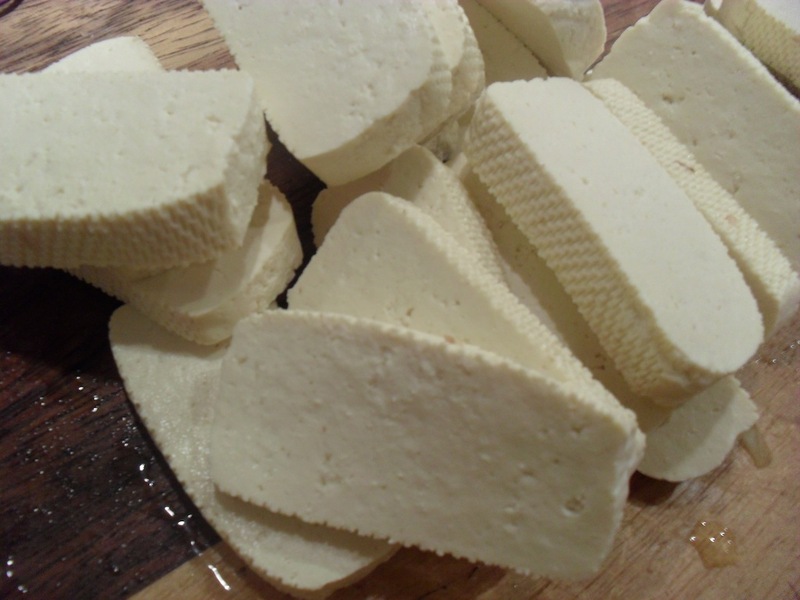 Slice tofu into thin pieces. Drain off the water with a paper towel. Pour a drop of garlic juice on each piece. 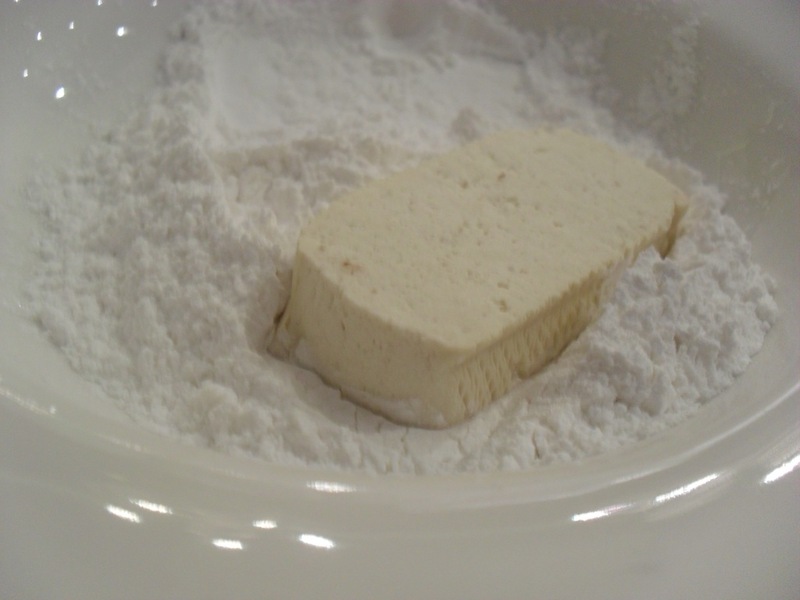 Cover tofu with a rice flour. 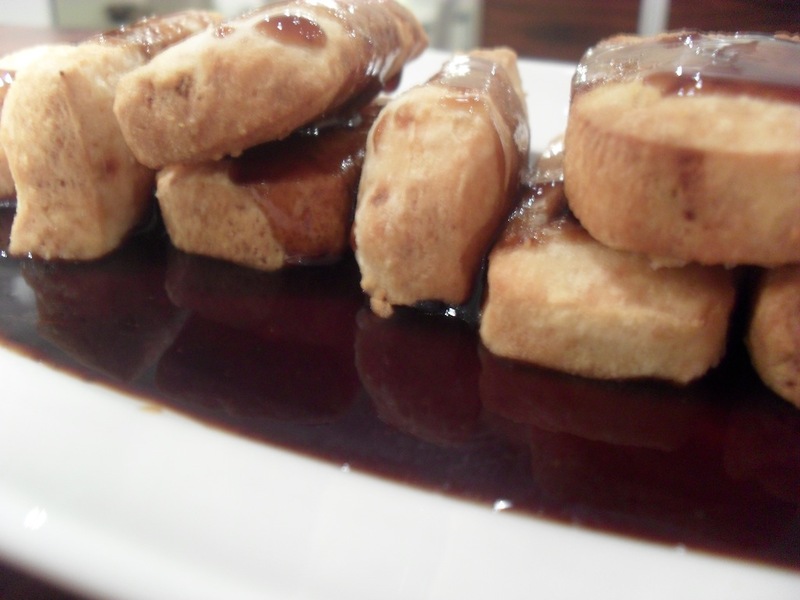 Bring the cooking oil to boil and deep fry tofu until it turns golden brown. Take it out. In a heated pan, combine sauce ingredients and cook until the sauce gets a bit thick. Pour it over tofu.